April 17, 2011  Cattle rustling sounds like a quaint notion from the 19th century American West, but in South Sudan — soon be the world's newest nation — it's a very modern and very real problem. 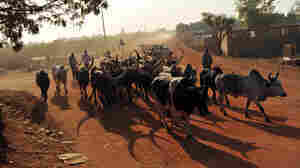 Sudanese cattle raiding isn't like the Old West with Winchester rifles. It's the African Bush with automatic weapons — and high body counts. 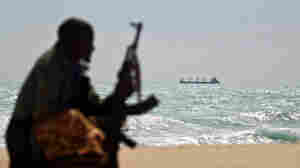 April 15, 2011  In recent years, Somali piracy has grown into a multimillion-dollar criminal enterprise. Law enforcement sources say the larger pirate syndicates are becoming increasingly professional. Last year, authorities found a pirate contract that even included incentive bonuses. 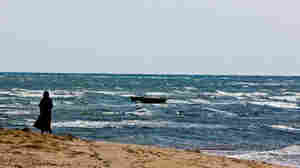 April 14, 2011  Piracy thrives in largely lawless Somalia. But the self-ruling region of Somaliland is slowly trying to build the rule of law and a sense of civic duty. The result: Ordinary citizens occasionally catch pirates and turn them in. April 13, 2011  Somaliland, a self-ruling part of Somalia, is desperately poor. It has only eight functioning coast guard vessels for its 500 miles of coastline, and most of its prisons are dreadful. Still, Somaliland is trying to rein in piracy, even though it's like fighting a stiff current. March 21, 2011  Some say they believe the White House tacitly approved the attacks on demonstrators last week — and put its strategic interests over democratic principles. 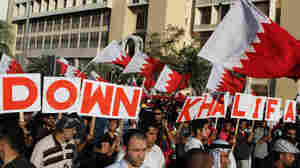 March 17, 2011  Authorities detained at least six prominent opposition activists Thursday as the crackdown on dissents widened under a martial law-style rule in the tiny Gulf nation of Bahrain. March 16, 2011  Bahrain police clear Pearl Square the day after martial law is declared in the island monarchy. 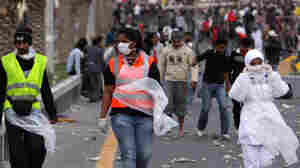 There are reports of shootings and tear gas in the crackdown. March 15, 2011  In Bahrain, a three-month state of emergency has been announced. Sources say wounded Shiite Muslim demonstrators were being brought into several hospitals. Earlier Tuesday, Sunni Pakistani workers said people who they believed were Shiite Muslims had attacked them with swords and sticks. March 14, 2011  The island's royal family requested the force from Saudi Arabia and neighboring Gulf states to help bring order after a monthlong protest, government officials said. Demonstrators at Manama's Pearl traffic circle were bracing for attack, building makeshift barricades to block city streets. March 8, 2011  The island kingdom's capital city, Manama, is lined with glass-and-steel skyscrapers that reflect the blue-green waters of the Persian Gulf. But less than 10 miles away is another Bahrain — the poor village of Karzakan. There, Shiite villagers say they're treated like second-class citizens in a country ruled by minority Sunnis. March 7, 2011  Anti-government protests are entering their fourth week in the island nation of Bahrain with no end in sight. The monarchy says it's ready for talks with its critics, but some in the opposition insist the government step down. Bahrain's neighbor, oil-giant Saudi Arabia, is anxiously watching the unrest.